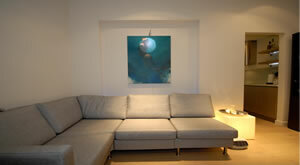 Lifestyle is a premier refurbishment company in London and the Wandsworth area. We offer a complete refurbishment service from planning and design through to the final finishing touches. We will provide your home with a brand look look refurbished to your exact requirements based on a wide range of the latest interior stylisations and fittings. Lifestyle will take care of all planning, design, specification and colour schemes for your Wandsworth refurbishment. All refurbishment work fully complies with national regulatory standards. Refurbishment can be daunting prospect as your house is turned upside down. We at Lifestyle have professional teams who are aware of all the typical challenges associated with a successful refurbishment project with a particular emphasis on Wandsworth refurbishments. We have the experience and expertise to ensure family friendly building work with minimal inconvenient to your day. Why not have a look at our testimonial page to see what our customers have to say. Expert advice: We believe in providing a complete, stress-free and reliable service, providing free advice and quotations. Refurbishing your Wandsworth property can add value to your home, whether it's a single room, a floor or the whole house. A complete service - why hire individual contractors for separate jobs at additional costs when you get can get one company to do everything under a single contract. Lifestyle will be your one point of contact who will deal with the planning permission and regulators, building work, plasterers, plumbers, fitters, electrical work and decorating for your Wandsworth refurbishment. Stress-free- Lifestyle takes care of everything from start to finish, updating throughout the process and provide you with a schedule for your Wandsworth refurbishment project. If there are any unforeseen issues we will liaise with you and provide the best solutions to the problem.